As human beings, the desire to create, to change the world around us, is hardwired; it provides a sense of purpose and is vital to our future economic and personal health. So, we have decided to dedicate this issue to the built world, examined through the lens of art, craft and architecture. We look at traditional skills, celebrate quality and care over mass-production, and promote connections between innovation and sustainability. And we highlight how our education manifesto benefits both students and industry. 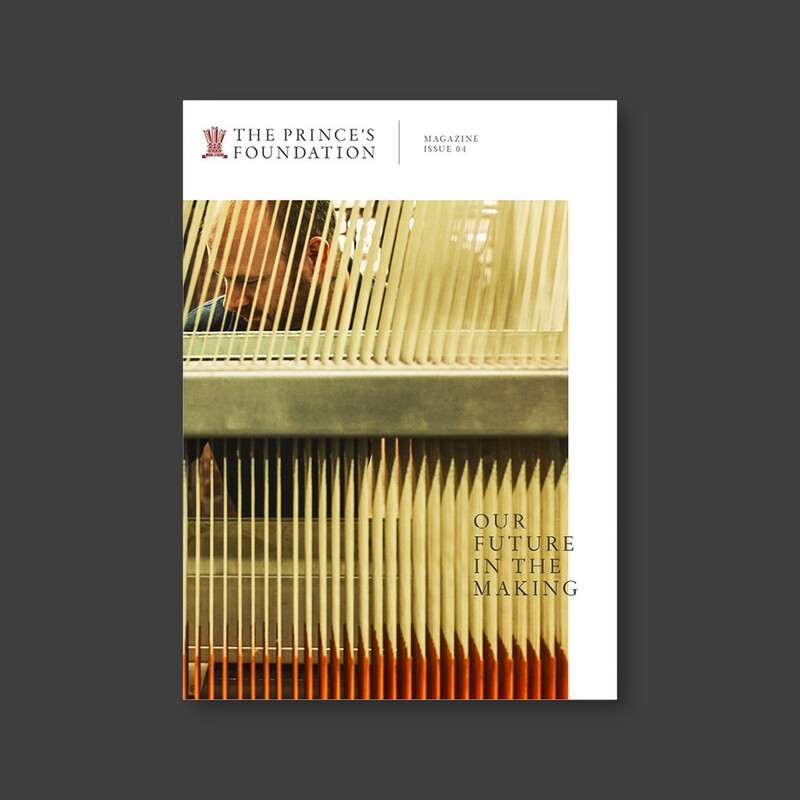 We travel to Suzhou in China, where The Prince’s Foundation School of Traditional Arts has opened a new education centre aimed at reviving the artistic disciplines unique to the region. We sit down with architect Hugh Petter to discuss the housing development in Newquay, Cornwall, that’s making giant leaps in sustainability. We also follow heritage building craft student Esme Walker on her placement at an 18th century London townhouse with Cliveden Conservation. We examine the revival of the UK textile and garment industry by spending a day with Future Textile placements at heritage weavers, Alex Begg, and sit down to discuss the challenge of sustaining the industry with an expert panel. There’s also a glimpse of how traditional craft and tech works together at renowned lace weavers MYB Textiles. Keep up to date with our latest articles by visiting ‘stories’.